Ebony Reigns has decided to use her sexuality to her advantage and for a girl with such a ‘banging’ body, it’s working for her but we don’t know how long this strategy would last. 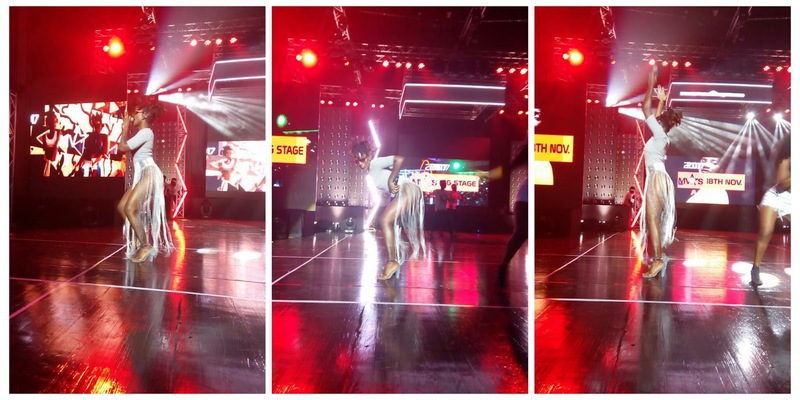 At the just ended 4syte Music video awards which was held last night, Ebony Reigns dazed the audience when she came on stage in this provocative dress. We don’t see any pants on –Maybe she wore one of those pants, that have no strings.